Anniversary jewelry is one of the most popular gift choices that husbands are gifting their wives and there is a really good reason for that - most girls love jewelry. However this is not just about finding jewelry that you know your wife will love, it is also about finding a piece that holds special meaning to you both. You could look to the Anniversary Gemstone list and find a piece of jewelry for the year you are celebrating. This would be a lovely tradition that you could continue for years to come. 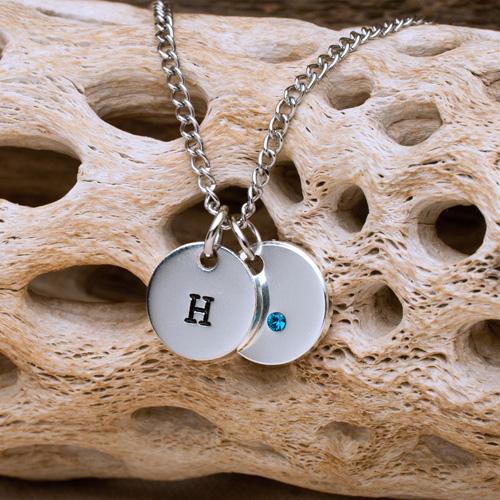 Or you could look at personalizing your Anniversary jewelry with your names or your wedding date. Or you could look to find a piece of jewelry that holds special significance to you both, it could be a gemstone from where you spent your honeymoon, or a restyled family heirloom or it could be the ring you always wanted to gift. There is something so special about gifting a personalized piece of jewelry, you know they will love it and you too will also love deciding what to have engraved on your chosen piece. 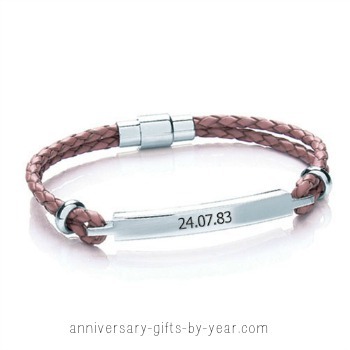 We have lots of personalized Anniversary Jewelry for your wife available in our online store. 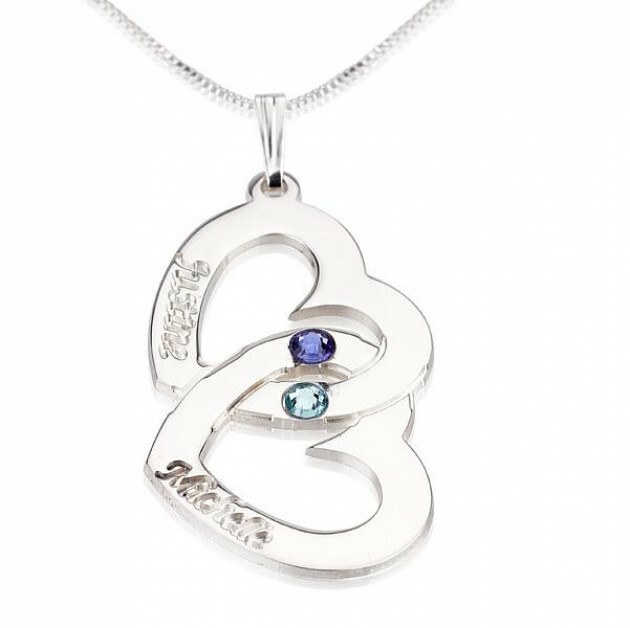 This beautiful pendant is personalized with both of your names and two hearts too! Perfect for every anniversary and a gift that you know will be treasured forever. Both of your hearts linked together in this very personal love heart necklace. Each heart can be engraved with your names and then the gemstones are each of your birthstones. Available to buy in our online store today. This Anniversary necklace can be personalized with your wife's initial and then you can choose to have either your wife's birthstone or your anniversary stone on the other pendant. Making this a trully unique gift that will be treasured. Personalized leather bracelets in a choice of colors. The bracelet is engraved with either your names or your wedding date or you could be super romantic and have one engraved with when you met and one engraved for when you were married. These bracelets look great when worn together. 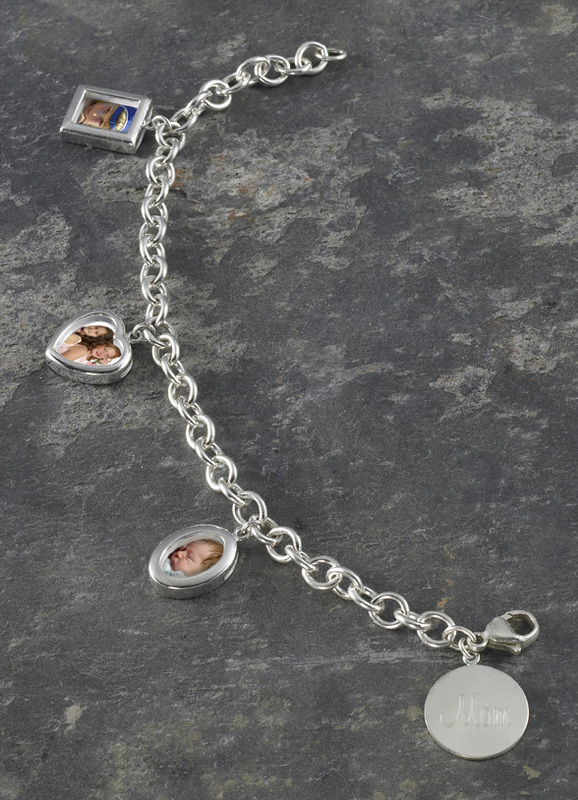 Personalized silver photo charm bracelet, your wife can keep all her favorite photos really close to her. Or you could add photos you know she will love. Available to buy in our online store. We love hand crafted jewelry and have hand picked our favorite pieces for you that fit with each year's theme.